On Wednesday, Rusty Gregory, chief executive of Mammoth Mountain announced a $38-million deal to acquire the Bear Mountain and Snow Summit resorts near Big Bear Lake in the San Bernardino Mountains. The deal to buy Snow Summit Ski Corp. includes a golf course, a driving range and several parking lots — totaling 136 acres of private land — as well as rights to 438 acres of skiable land owned by the U.S. Forest. Since Mammoth Mountain's founder Dave McCoy sold his controlling interest in his resort in the Eastern Sierra to Connecticut-based Starwood Capital Group in 2005, the company has invested heavily to add upscale hotels, condominiums, shops and eateries around Mammoth Lakes, the rustic town at the base of the mountain. The deal should also be good news for skiers and snowboarders, Gregory said. Mammoth Mountain plans to begin this weekend to sell an annual pass that gives snow enthusiasts access to Mammoth Mountain and June Mountain, plus Bear Mountain and Snow Summit, for $689, he said. That's the same price that Mammoth Mountain charged for its annual pass last year. Skiers and snowboarders who have already bought the Mammoth Mountain pass for this coming season will be allowed to use the pass at Bear Mountain and Snow Summit, Gregory said. John is being inducted into the U.S. Ski Hall of Fame in Park City, Utah on April 5th. Virtual Snow and our friends will be there to celebrate with him. just want to say thanks to Wasatch Freestyle Director Jon O’Brien from Olympic Park Aerial Training Center in Park City for coaching me to FLY on my 60th birthday!!!! I'm often asked this question: How does Virtual Snow Training transfer to training on snow?? Watch and see for yourself!! Gunbarrel 25 #10 will be taking place at Heavenly Valley in Lake Tahoe this weekend, April 7, 2013. Bad Bob will be there along with Mark Burnham & others. Come one and all for fun with Virtual Snow's friend Glenn Plake! Watch the movie below to see some of last years GB25 #9!!! Click here for more information on signing up. Google is going Virtual Skiing! Apparently, Virtual Snow is on to something with our virtual ski and snowboard training system. Now Google is getting in on the action with virtual ski runs. They are using their Street View technology used on Google Maps and a snowmobile to map out ski runs so you can enjoy them from your living room. The following is the story from Where to Ski and Snowboard. Zermatt has been chosen as Google’s first European attempt to take its Street View success to the slopes. If you have used Google Street View, you’ll know that it’s a neat little mapping system that allows people to take virtual walks down city streets, in quite some detail. The results are impressive, although there were early issues with privacy that have now been resolved. Mapping the pistes would mean you could take a virtual tour of the ski area, following pistes and landmarks to get an idea of what the resort is like; a piste panorama. It’s a good overview and a bit of fun while you’re stuck at home dreaming of the next trip. Stand at the top of a mountain and follow whichever run you like down. So what does it take to map the slopes in a ski resort? Basically, the Google team mounts its Street View camera system onto a snowmobile for the piste and snow-covered roads and goes around taking snapshots of the area. Then there’s the complex task of piecing them all together to produce the end result. The technology has already been used in North America, introduced in Whistler for the Olympics. Zermatt was chosen as the first European destination, following a Switzerland Tourism survey and competition. Of the 30 or so resorts suggested, the readers voted Zermatt for its variety, famous mountain and large resort. Zermatt tourism is delighted, and thinks that the new service will prove a useful addition to existing resources and popular with potential visitors. 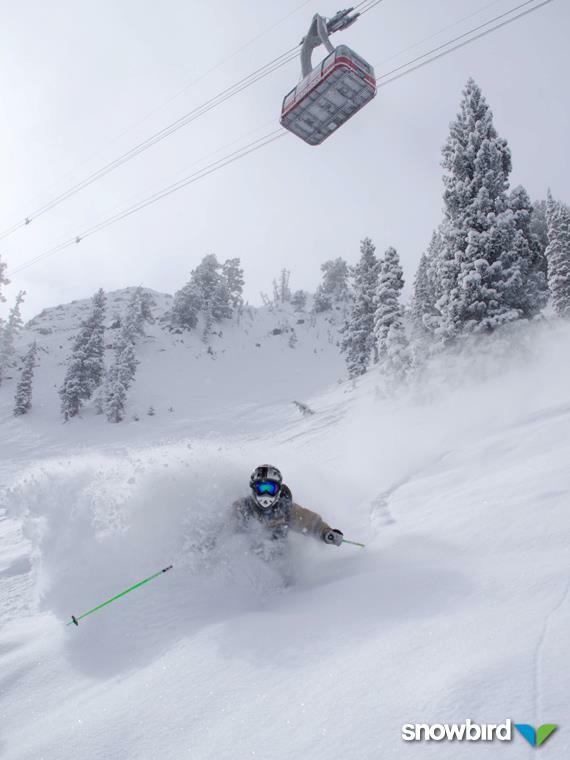 Ski Utah "best snow on earth"